The HYDAC valve stacking system type ML is a control block. Its components are of individual standard modules for hydraulic systems. What’s more, different function modules can be flanged to the base module. The sequence of modules depends on the control task, as does the fitting of pressure, flow control, shut-off and directional valves. 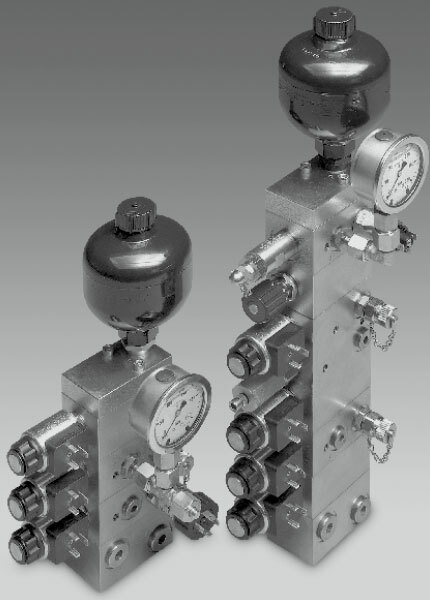 It is also possible to incorporate additional modules such as pressure switches, pressure gauges and accumulators. Plus, an end module completes the block. Similarly, it’s possible to build the valve stacking system onto any hydraulic system by using a module for inline mounting. The system offers individual possibilities for very simple expansion and exchange.